Your order: Please check the personalisation details carefully. If you need to change them, please contact us immediately. We will be unable to change personalisation details after 24 hours from the time you placed your order. Delivery: Delivery is by first class mail in the UK, registered delivery abroad. 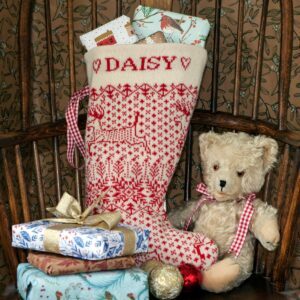 Please allow up to 21 days for the delivery of your blanket in the UK, 28 days for delivery abroad. Please visit the Ordering and Shipping page for delivery prices. 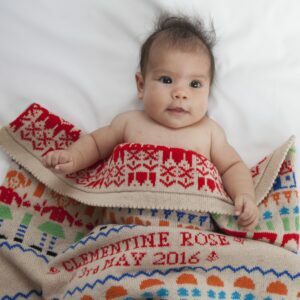 If you require your blanket by a specific date, please let us know when you make your order. Returns and Refunds: Non-personalised products can be returned to us within 28 days in good unused condition for a full refund. 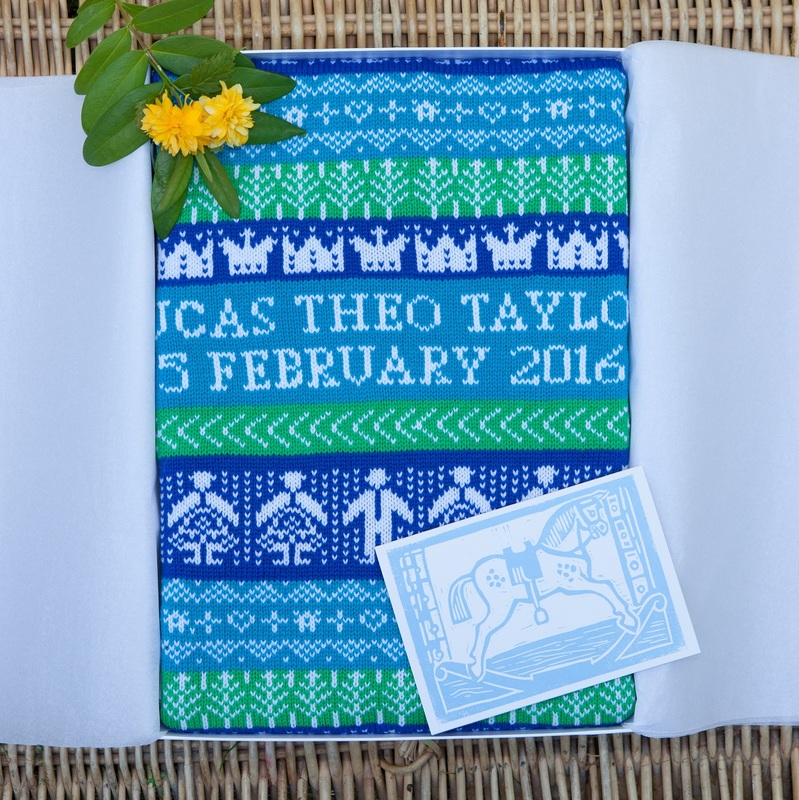 We are unable to accept the return of a personalised item, as each one is individually made to order. 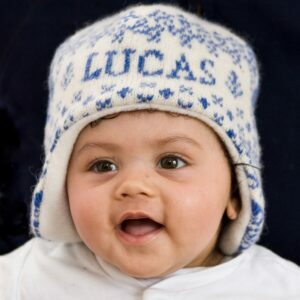 If the personalisation details are wrong on your blanket and the fault is ours we will reknit and replace your blanket. Please contact us if you have any problems with your order, we are happy to help. Security: The security of your online purchase is of paramount importance to us. Charlotte Cot Blankets does not store or process your card details. All card transactions take place on Pay360 (Paypoint)’s secure servers. In addition, the Charlotte Cot Blankets website is covered by an SSL certificate. All data sent to our server and the data returned to you when viewing a secure page is encrypted to prevent unauthorised persons intercepting your details. If you are not happy about disclosing your credit card or personal details over the Internet, feel free to telephone us using the details on our contact page. Payment: We accept payment online by VISA, MasterCard and Switch/Maestro. If you post your order we will also accept payment by Cheque or Postal Order made payable to ‘Charlotte Cot Blankets Ltd’. Goods will only be dispatched once payment has been received in full. When you purchase from our website, we use the personal data you give us to meet our contractual obligations to you (i.e. make and dispatch your order). We may also use it to contact you if we have any questions about your order and let you know when your order is dispatched. If you would like this information erased from our records after your order is complete, please contact us. When you register to receive our monthly newsletter, we collect information (your name and e-mail address). This is so we can keep you up-to-date with news about our products, and the occasional special offer and competition. We use a third party provider, MailChimp, to deliver our newsletter. For more information, please see MailChimp’s privacy notice. You can unsubscribe from these e-mails at any time by clicking on the unsubscribe link at the bottom of one of our e-mails or by contacting us. We only send these newsletters to you if you have asked us to. If you would like to know what information we hold about you, you can contact us at any time.